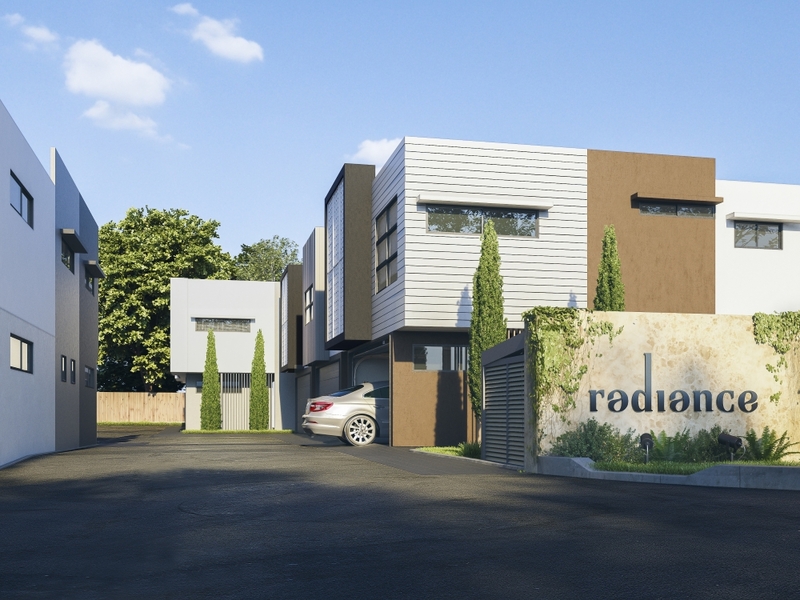 Radiance at Bridgeman Downs is a 24 x 4 bedroom townhouse developement, that sit over two levels, all with two bathrooms upstairs and an extra powder room off the living areas. All homes come with a study nook, two car garage and private patio garden. Situated just over 13kms north of Brisbane’s CBD, offering excellent access to major employment nodes, education, key health-care facilities and lifestyle amenities. The area has long been associated with large acreage properties, to the end of Beckett Road and down Bridgeman Road. The majority of Bridgeman Downs, surrounded by Aspley, Albany Creek, McDowall and Carseldine is residential estate. Mostly developed in the 1990s, many families choose to live in Bridgeman Downs because of the larger homes and generous blocks (big enough for a pool) and proximity to shops and various public and private schools. The presence of major health and retail industries surrounding Bridgeman Downs is one of the key elements driving forecasts of local jobs increasing to 23,710 jobs by 2036. A strong bus network and arterial roads provide Bridgeman Downs residents access to Brisbane’s two largest employment nodes – the Brisbane CBD and Australia TradeCoast. Together these nodes are projected to offer almost 300,000 jobs by 2036. Households in the Bridgeman Downs Catchment earn on average 25 per cent more than Brisbane LGA households. This is attributed to 80 per cent of the catchment being white-collar workers. 82 per cent of households are family households, significantly higher than the Brisbane LGA of 73 per cent. Owner-occupiers represent 80 per cent of the Bridgeman Downs Catchment, demonstrating a much higher proportion than the Brisbane LGA at 66 per cent. These demographic traits indicate residents in the Bridgeman Downs Catchment are typically well established, high-income professional families. Council Rates: $1,280 p/a approx.